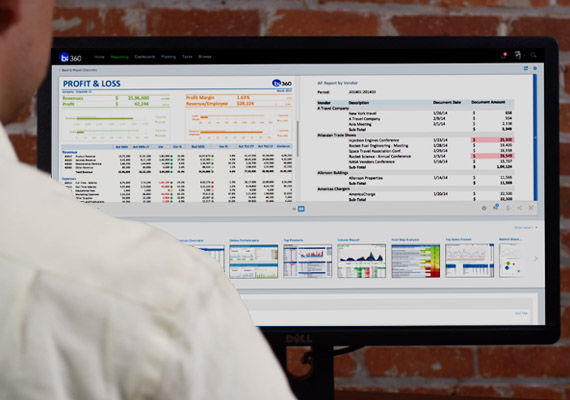 What Does My Company Do With Reporting and Budgeting When Dynamics GP Is Moving to the Cloud? This article focuses on the future of Dynamics GP Users and their Reporting and Budgeting tools. Why are many companies still keeping their Dynamics GP ERP system on-premise when there is a cloud option available? Some may not know the options to migrate to the cloud. Others may feel safer using a more traditional platform. Microsoft just changed the whole game for Microsoft Dynamics Enterprise Resource Planning (ERP) users. A true cloud version of Microsoft Dynamics, Microsoft Dynamics 365, officially released this November 1st. Dynamics 365 lets companies combine CRM, ERP and Microsoft Office capabilities into the next generation of business applications in the cloud. This Azure-hosted Dynamics service seems to be the true future for many Dynamics GP customers. Therefore, if your company is slowly making its way to the cloud, and on premise tools are most likely developed less progressively, eventually moving to Dynamics 365 or other CRM/ERP tools seems a pretty interesting alternative. This article focuses on the steps your company will need to take when your ERP is moving to the cloud. Live ERP Budgeting, What Is It? This article will touch on the basics of budgeting with your ERP system. The process of investing in a new Enterprise Resource Planning (ERP) software can be a daunting task. Where do you start? Do you find reviews online and hope they are in line with your company’s needs and goals? Let me break it down for you. We’ll explore the basics of ERP from software pricing to ERP utilization with third party budgeting solutions.